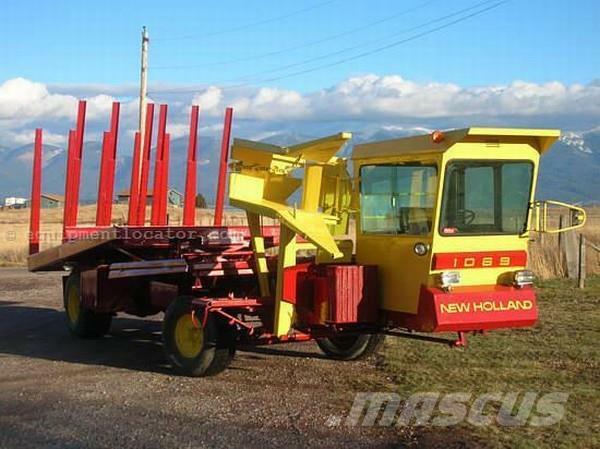 Zusätzliche Informationen New Holland 1069 Self Propelled Bale Wagon- Bale Size: 14x18, 16x18 2 Tie Bale Type, 3 Bale Wide Table Width. Load and rolling rack ext. Cab with heat, no air. Gas. This wagon has been completely rebuilt. New paint and decals. EXCELLENT CONDITION. Contact us for more information!